Angler's name – Frank Noshie. 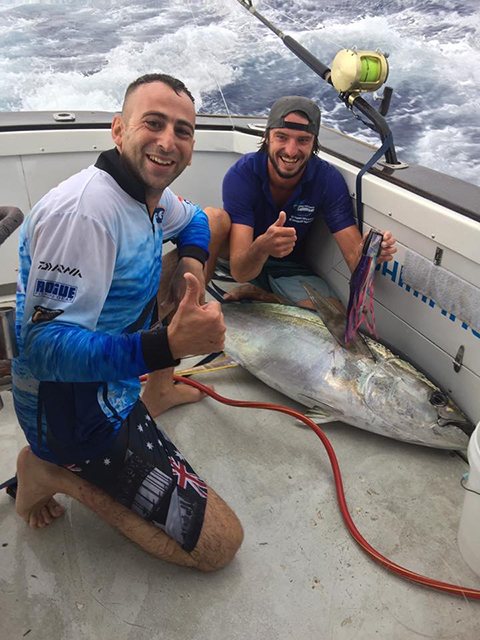 Skippers name – Capt Greg Hopping. Other Crew names – Daniel Lyons. Boat Name – "Pure Indulgence"
Boat Type – 35 Bertram. Lure - JB XL Dingo. Capture Date – 09th June 2017. Comments – 10mins into its maiden swim and the XL Dingo comes up with the goods!